Notes: Bacon & pancakes are served until 10am so get there early for some grub and let's all meet at the DIG H20 Buggy at 10am to refill our water bottles and ride over to Stampede for the tailgate party. 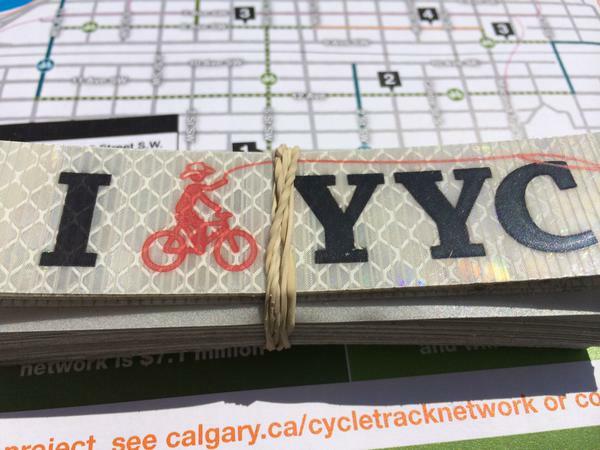 Do you want to see the Calgary Stampede embrace cycling in a big way? Do It Green (DIG) has introduced a very popular Bike Valet program to the Stampede this year and to celebrate its success we invite you to join us as we host a ride from a FREE Stampede breakfast (pancakes & bacon) in Olympic Plaza over to the Stampede Grounds where we will have our own tailgate party with free lemonade compliments of Open Streets Calgary's pedal-powered blender. Good Life Bike Shop will be on hand to do complimentary greasing on your bike chain. Please help us kick off this new annual tradition. Meet at Olympic Plaza by 9:30am to get your pancakes & bacon then meet at the DIG H20 Buggy at 10am to ride together over to the Stampede Grounds for a bike-friendly tailgate party.